This week we visited the must-see new exhibition at Tate Modern, ‘Alexander Calder: Performing Sculpture’. It’s a truly beautiful and poetic exhibition showcasing Calder’s stunning kinetic sculptures. Calder initially trained as an engineer before moving to Paris in the 1920s to start his artistic career. It was during his engineering education that he became fascinated with kinetics, physics and the nature of materials. In Paris he experimented with kinetic sculptures that brought to life the avant-garde interest in movement. His kinetic works blended movement with sculpture and in 1931 he invented the ‘mobile’ - Duchamp coined the term, having used it to describe Calder’s new sculptures. The poetry and beauty of his sculptures lay in their ability to move of their accord, simply catching the air in the space they hang. 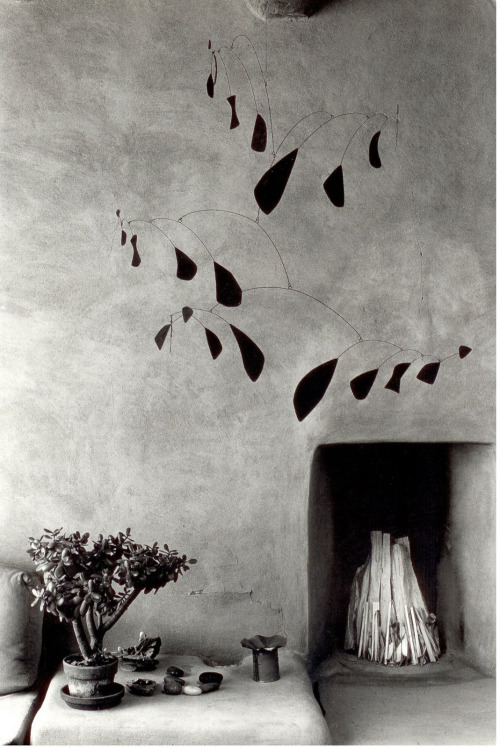 We also discovered this image of an Alexander Calder mobile in Georgia O’Keeffe’s house in Abiquiu, New Mexico. 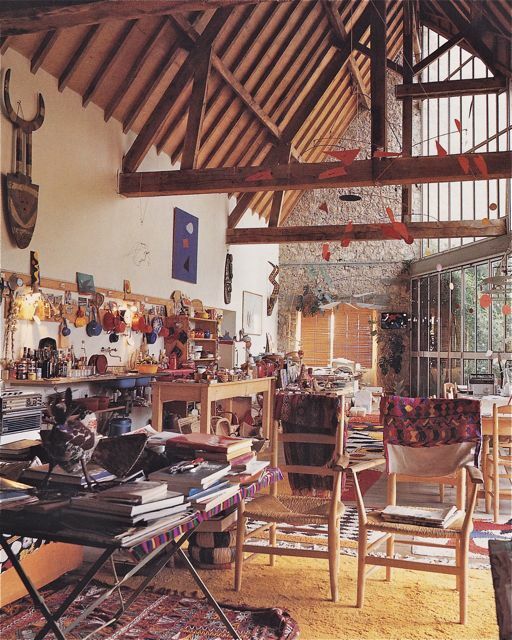 The blend of rustic design with the fluidity of his mobile is a perfect balance. 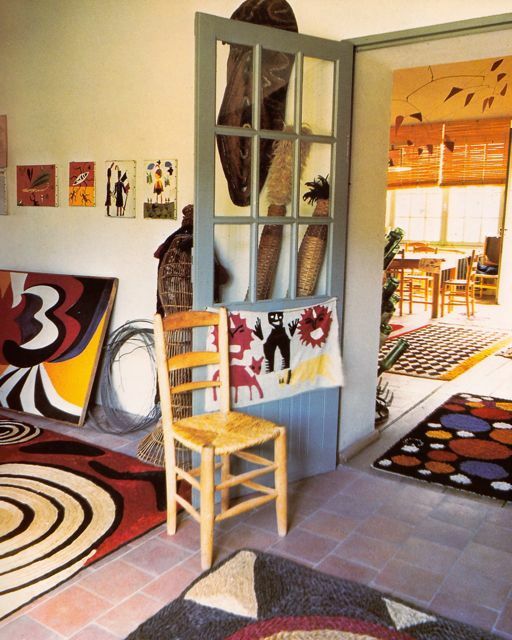 On the subject of artists’s home we were intrigued to find these images of Alexander Calder’s own living room. 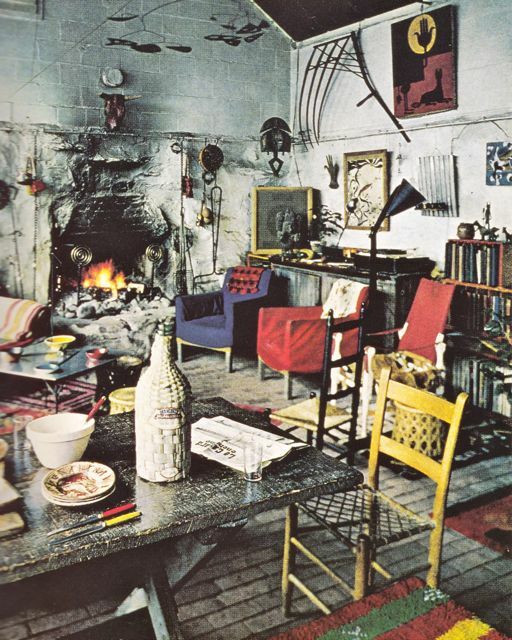 Having seen his mobiles in a white walled gallery space, it was quite the contrast seeing images of them amongst his colourful furnishings and belongings.